4/16 SJRT Day Trip. Planned by Fresno State Recreation Administration students! 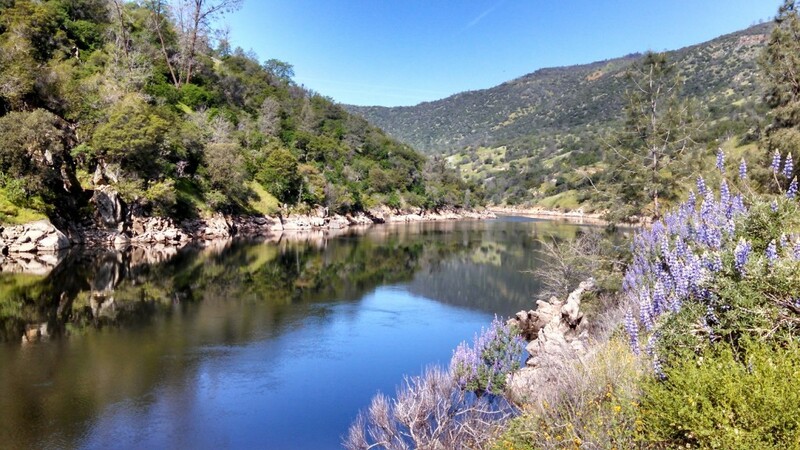 4/21-4/24 Earth Day SJRT Weekend Base Camp Trip. 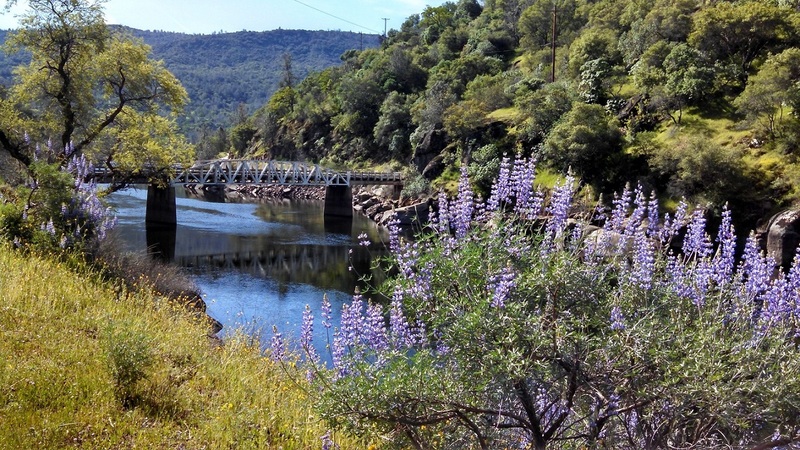 Come celebrate the beauty of our planet and help future generations enjoy the wonders of the San Joaquin River via the SJRT! To sign up for these trips click their names! We camped at the beautiful Smalley Cove Campground on the shores of Kerckhoff Lake. Each morning mist shrouded the hills as the sun rose. Wild turkeys were busy calling around camp and along the trail. 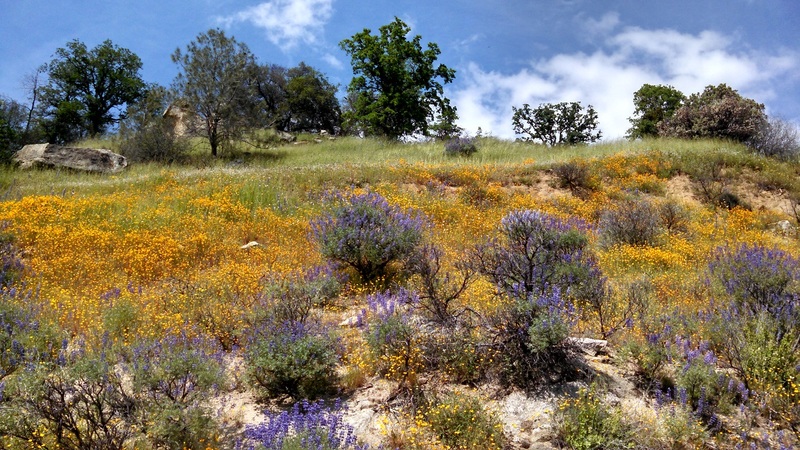 The land abounded with wildlife and spring blooms of lupine, poppy, bird’s-eye gilia, and fiddleneck just to name a few. 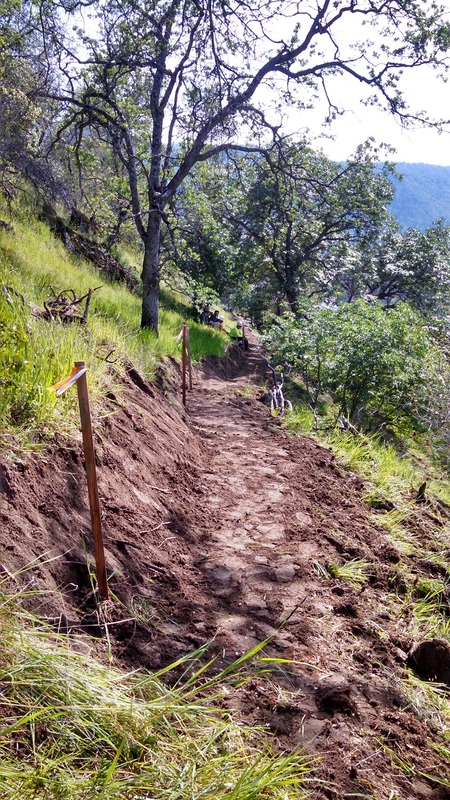 As for trail work a small yet mighty group was able to construct 500 feet of new trail! Tons of soil and rock (literally!) 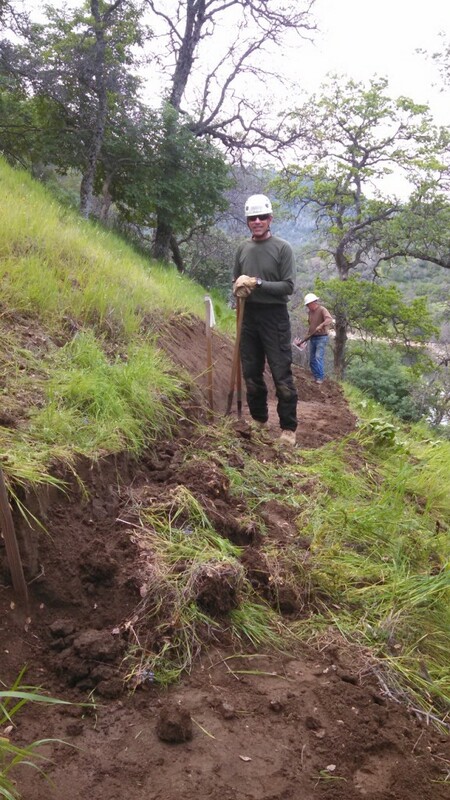 were removed to develop a full bench cut trail along the contours of the hillside. 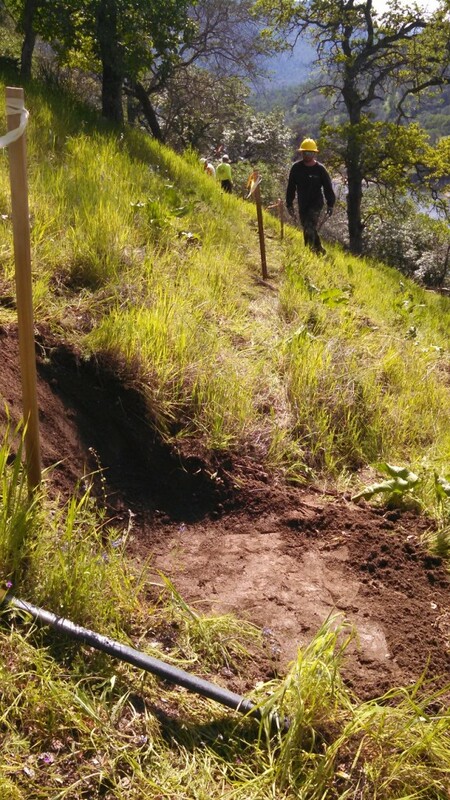 To design and construct new trail is an exciting and engaging experience. 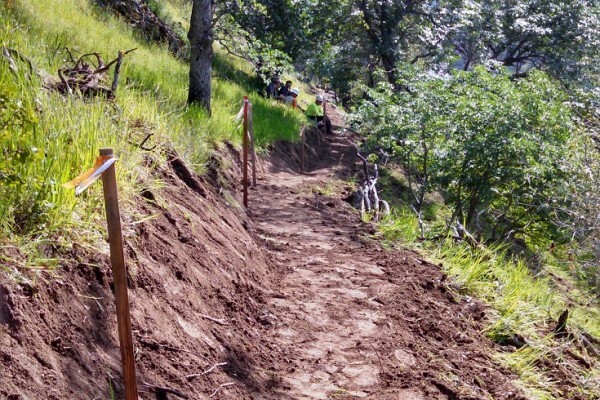 Please don’t worry there is plenty more trail to build! 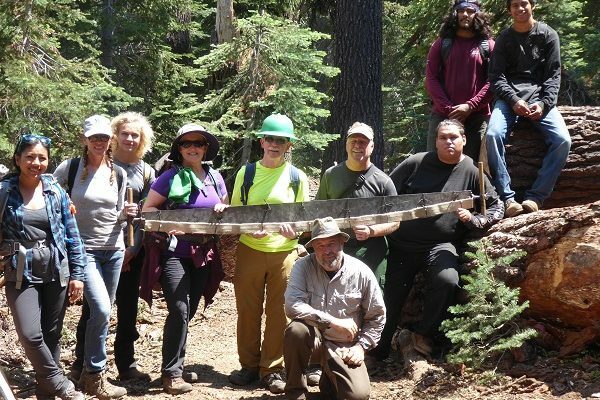 We would like to thank the U.S. Forest Service and the San Joaquin River Trail Council for making this project possible through their vision, oversight, leadership and financial support. Flowers along the drive from camp to the trailhead. 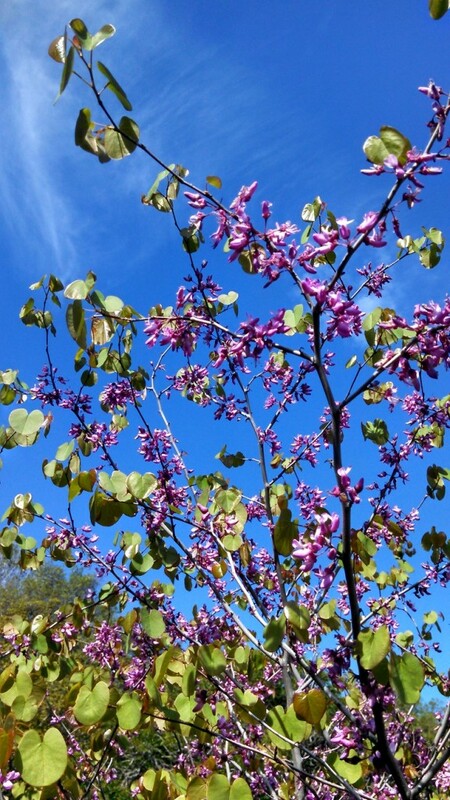 Redbud blooming along the trail with its heart shaped leaves. 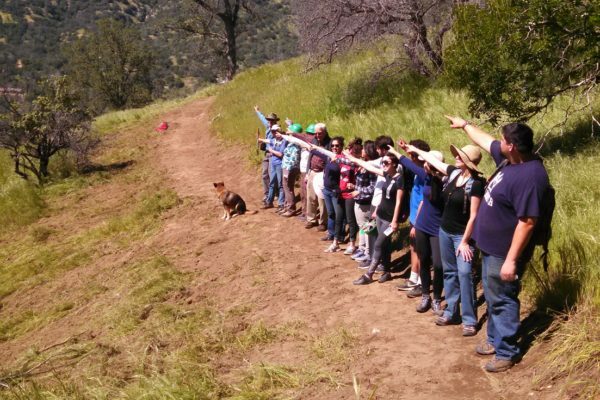 Staking the alignment for the trail. 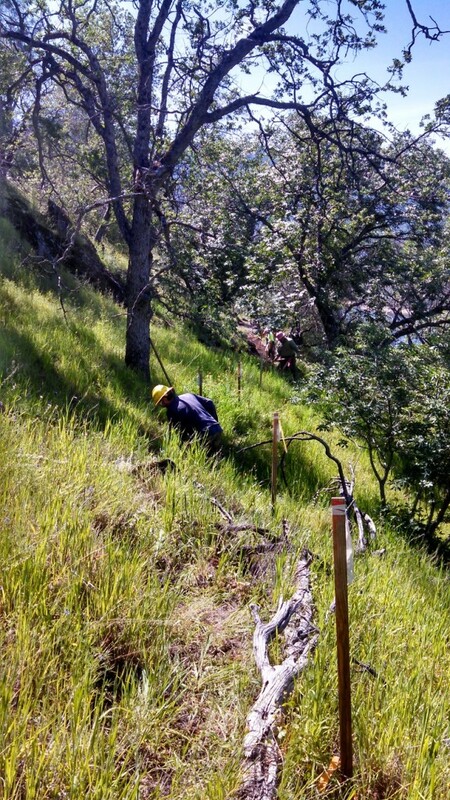 Starting the full bench cut into the hillside. New section of the SJRT!